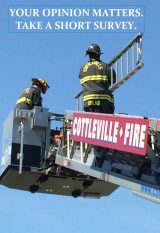 In 2016, Cottleville Firefighters Outreach quietly provided crisis assistance funding and in-kind donations valuing over $8,000 for 22 local families. In 2017, we provided over $6,000 in funding for 16 families. To submit a request for help, please fill out the application below.